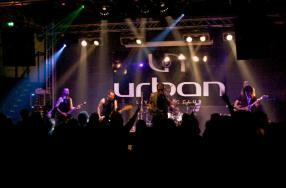 The Urban Live Music Club is a local underground Perugia opened in 2007. The disco is located in the industrial area of Sant'Andrea delle Frate, near the factory of Perugina. The club offers evening dedicated to rock on Friday evening and all kinds of live music every Saturday. On Thursday evening is dedicated to fans of metal music, andevery Sunday you can dance to the music of DJ sets Ralf. The Urban Club is the scene of the most internationally artists but also an excellent showcase for many emerging bands and DJs, inside the place is the Urban Studio, you want the band can rehearse and record their musical pieces.